Heavy Bits, the hot Silicon Valley startup behind ‘instructional knowledge’ sharing platform Snapguide, has raised $5m in new funding according to a public SEC filing. Started by former Googler Steve Krulewitz and former Yahoo-er Daniel Raffel, Snapguide is a free iOS app and Web service that lets people create and share step-by-step how-to guides for just about anything (like making glazed donuts). For more information, read TNW’s Drew Olanoff’s excellent review of the service. 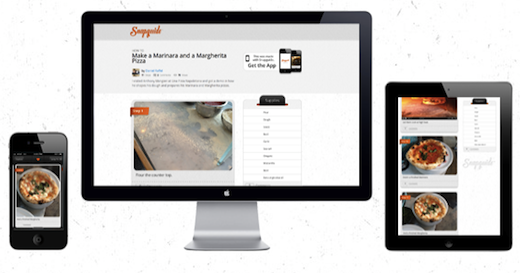 Snapguide was in the news earlier when it integrated with Pinterest. A quick glance at the ‘Explore’ page and some basic math reveals that over 4,200 guides have been created and shared to date (the service was previously in stealth but launched in public beta at the end of March 2012). Heavy Bits earlier raised $2 million in seed funding from Michael Arrington (CrunchFund), Gary Clayton, Jeff Fagnan (Atlas Venture), David Lee (SV Angel), Path CEO Dave Morin (Slow Ventures) and Mike Volpi (Index Ventures). We’ve reached out to the startup to learn more about the new financing.